somehow reporting the views of the Diocese. situation. To be clear: I have not closed down Protect the Pope. use of the new communication technologies. I have a weekly blog myself. There will be no further comment from the Diocese of Lancaster on this matter. Please pray for me as the hardest things for me to have to give up where I am in nowhere-land are daily Mass and several times of Adoration a week. As I am living far away from a Catholic Church, this denial of the Sacrament and of Adoration is a real penance. I offer up this denial of graces to me for D, R. E, Z, G, B, J and other who have asked for my prayers. However, what I am experiencing in grief will be the experience of the majority of Catholic in the not-so-far future. The remnant may not have Mass and Adoration. I have wanted for a long time to live in a house with the Holy Eucharist, and being in Tyburn last year was such a gift. I could see my Lord frequently. Tyburn opened in France last Autumn. Wonderful. And, this is another sign of the holiness of the foundress. As you know, the nuns are already in Nigeria. Here is a play I wrote for the nuns last year. This play is written as a half-hour voice-over for a DVD format. Quotations marks are on the exact words of Mother Marie Adele. The voice is that of Mother Marie Adele Garnier, Mother Mary of St. Peter. One must have a French accent for this play. She has asked her nuns to come around her but they are not there yet. The room is grey but peaceful, like a black and white dream. She is sitting in a half bed, half chair. She is old but peaceful. It is 1924. Mother Marie Adele: The day is dark for June. But, the day mirrors the darkness of Calvary, when the storms blew across Golgotha at the death of My Lord. I have left notes and letters, like clues for my dear daughters, hoping they will understand the path I had to follow all these years. My dear daughters have been called to come to me for a blessing. I hope my life has taught my children here that Love is All. I hope the Love of my Savior and King has led them to accept the Cross. What does this mean to them? What does this mean to the hundreds of people who pass by Tyburn on this street daily in London? What do they understand of sacrificial love? But, I have prayed and suffered for each one of them, and for my confreres in France. Ah, France, you have left your throne to false gods, to the silly pursuits of these modern times. I shall never see your blue skies and roses again. Mother picks up a book and a rosary…she is pensive. The day is gloomy and reminds me of a day long ago in France, when I wrote a letter to dear Father Lemius, I was in Villeneuve-sure-Yonne. How can I share with all these in my care the necessity of perseverance? I wrote to Father on that day? I pray I have been an example of the way of penance, all for the Bridegroom, Who I await. Scene Two, younger Adele in French room at a writing desk. She is in a simple habit, not the Benedictine one of her first scene. She is very animated and eager in her face and demeanor. Mother Marie Adele Voice-over reads letter, and she writes and stops, and writes again. “But, I think of heaven-I think of the work and the suffering which is absolutely necessary for us. That night I felt this call, always more forcible, more pressing, to a total renunciation, to a complete abnegation, to the acceptance, loving, eager, without regret or bitterness, of all possible sacrifices for the glory and the consolation of His divine heart…..
We are at the mercy of the French Government with the Associations Law, an infamous attempt to stop new orders and seize land…we had to wait to declare ourselves a religious community and all I had worked for under the guidance of my excellent spiritual advisors, all, seemed to be coming to naught. I thought perhaps we would go to 40 rue de la Barre, or Belgium, but to England, land of martyrs. Over and over again, I faced this anxiety and pain. But, few knew why. The call of the nun is the call of the Bridegroom and yes, I am a Bride, but unlike so many called before, the Teresas, the Catherines, I had ecstasy and then pain. Most are called to the unitive state of being one with God after the Dark Night. But, for me, there was another dimension, another working of God’s grace in the world. I shall try and explain. Scene Three: The room in Tyburn with the dying Mother Marie Adele. Mother Marie Adele: Montmarte, how we loved the hill of the martyrs, and yet, God called us, through His Eucharistic Heart to this country, this place of martyrs, this Tyburn. Montmarte, now filled with the beautiful Basilica, which I perhaps will never see again. That perhaps was the second lowest time in the growth of our dear community. I cannot speak of the worst, the attacks of the evil one directly on my young nuns. We endured and would have stayed in the shadow of Montmarte. We, like the children of the Diaspora, were forced out. But, I did not want us to be separated. Remember, Dear Lord, how my heart ached. How I did not want to leave my beloved France, where in secret we had our little clothing ceremony, at Levallois-Perret, with dear Father Balme, who called us the la graine de moutarde. We were so small, so small. But, God sent me good advisors, as He always did, to guide us across the Sleeve to this place. A few nuns with suitcases appear in the background at a port like Dover. They are greeted by other nuns. But, I trusted, trusted in the darkness that this monstrous law would not touch us. Cardinal Vaughan responded to our request to come here…so long ago it seems…to adore The Eucharistic Heart of Jesus in the heart of London. I shall never forget my Alice Andrade…soon to be my Mother Mary Agnes, as God will make her superior for a while… la graine de moutarde. Again, at Vllenueve-sur-Yonne, they are in a rose garden by the house-but earlier and Marie Adele is in French 19th century middle-class civilian clothes. Alice is much younger. They meet and embrace, soul sisters for life. She was with me from 1896, and when we saw each other, she cried out to me “My Mother”. And I cried “My Daughter.” So we were bound in the love of the Eucharistic Heart of Jesus. She was 23 and I was 58. How odd that I thought I was old. Now, I am old. But, the journey of my life of perfection seems so short, so short. Would we have started out knowing all the hardships? Does a married couple in love and happy think of the cruelties of life to come? No, we only think and feel love. Mother Agnes and I wrote almost daily when apart, and she has kept all of those letters. Someday, my daughters will read and wonder at the boldness of our undertaking in such a hostile environment as the Eldest Daughter of France had become…so sad, so melancholy. But, we are the mustard seed in England, in this soil made fertile with the blood of Edmund Campion, Robert Southwell, Anne Line Oliver Plunkett and so many others. Scene Five: The room in Tyburn again. The Tyburn Gallows, the Tyburn Tree, appears behind her and stays until all the nuns are gone. She is interrupted by the nuns coming in and she blesses them. They all bow their heads in prayer but leave again, each bowing to her as they leave. Mother Marie Adele continues: What I could not tell Mother Agnes for a long time was that the Bridal Love ended in a call to become a Victim Soul. How does one explain a call to be a victim for others, for England, for France, for the clergy, even for my nuns? Can they see the love through the willing suffering of a soul which gives up all comfort for the sake of others? I have another memory, one of my times of trying so hard to listen to the Will of God in my life, as that is all I ever wanted was His Will. How many long years, when I was a governess, did I beg my Bridegroom that only His Perfect Will would be done in my life? All for love. I was in the Convent of Marie Reparatrice, in Paris, and I was in torment. I think it was 1876, so long ago. Staying in the community for eight days, in a little Nazareth, I was trying to understand how I could fulfill the Will of my Beloved. How could I, no one in the world, show the world His love in the Eucharistic Heart? Scene Six: The room fades away and it is a little, simple nun’s cell in France, with one wooden chair, one bed, a crucifix. On the way, I had seen close by, a house, and my heart started to pump wildly. It stood out from the rest and I had the great sensation that I would be returning to Montmarte. And, I remember the number, 42. Marie Adele is sitting in a plain chair when a nun bursts in and the scene continues in these words….nun does all the things Mother Adele describes in this passage from one of her letters. Her words created a brilliant light in my heart and mind. No longer could I doubt. I knew I was destined to return to Montmarte. Amazingly, for my timidity was gone completely, I had no fear, no fear of the future to which God was calling me. Scene Seven: Back in the room at Tyburn. Mother Adele is in bed, with a nun beside her. Mother is very ill. Her thoughts continue: But, I did not know, when the Dear Lord of my heart called me that day to be, first His fiancé and then, His bride, what suffering this would mean. How could I understand the Passion of Christ without experiencing it and how could I be joined in love to Him unless He led me to Calvary. My way has not been easy, as I have had an independent spirit. This is a gift from God which must be crushed by love and love alone, but when Christ asked me to join Him in suffering, how could I say no. As a younger person, I had ecstasies of love and contemplation, His gifts to His Bride, but now, I must rest in “grace that comes from the torture of Christ”. The young nun wipes the head of Mother Adele and lifts her up to give her water. Mother Adele looks at her deeply and blesses her. A large crucifix, like the one at Tyburn on the stairs going up in the enclosure, appears behind her bed. Then, she sees all the nuns going about their work, cleaning, cooking, gardening, keeping watch in front of the Monstrance. Her thoughts continue: When the torture of the Cross passes, I am calm again, but how can I explain all this love to these young ones? I have told them that if they follow the Rule of St. Benedict and allow themselves to be perfected, they will be led by Christ, through His Eucharistic Heart into the Unitive State. Now, on my death bed, I await this last movement into unity. I offered myself by the Vow of Victim in 1893 on March 31st, Good Friday, at three, with my spiritual director l’Abbe Courtois’ approval, and now, 31 years later, I am finally coming to the consummation of that love. “Jesus….showed me that for this I had to attain very great purity of heart, soul, mind and body, so that the victim—who would also be priest with Jesus, would be not defiled”. Such abandonment is barely understood, but our Father Benedict knew this and his Rule shows us the way. Jesus finally told me that He was calling me to the interior priesthood, offering up daily, constantly all for and in and through Him. There is a mystery here I cannot explain. Do they know? Can they see? How can I explain suffering for others? How can anyone explain what happened on Calvary? 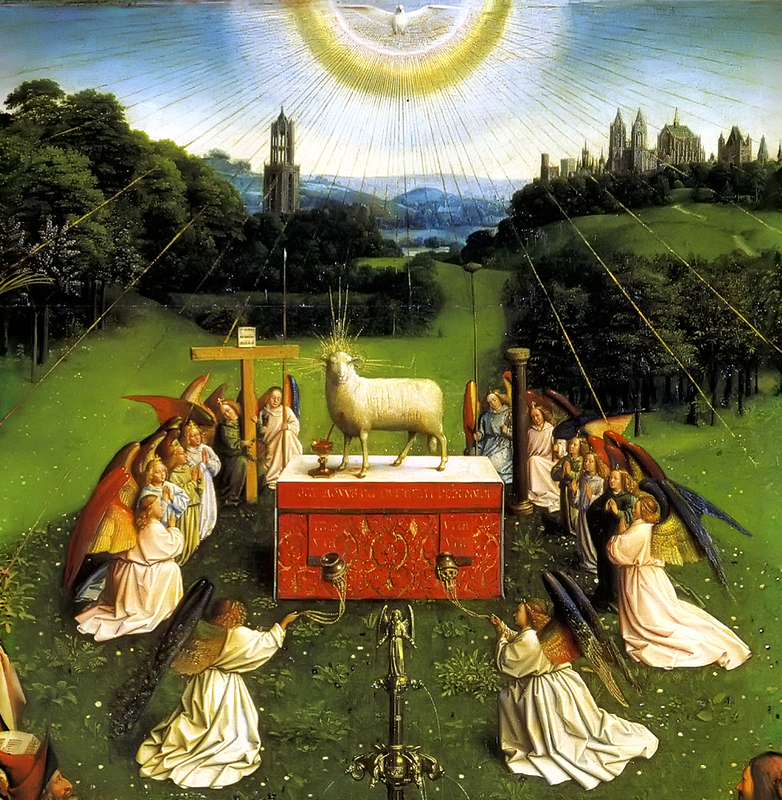 Some think kneeling in front of the Eucharist in the Monstrance must be a peaceful experience. It is not. It is joining with the moment of the death of God. Mother puts her hand on the arm of the young nun and looks at her intensely. I have one more, dear, dear memory. Scene Eight: Mother Adele is in full habit and writing to her new spiritual director. She is very happy, and serene. The day is bright, as it is August, and she is sitting in a garden with a writing desk on her lap. She looks at the ring on her finger. She is smiling and looks beautiful in her face. A light covers Mother Adele and the entire room is bleached with this light. Her habit turns into a wedding dress for a moment and then back to her habit. 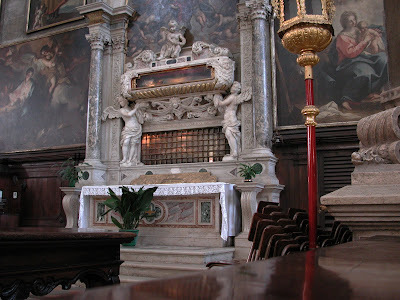 At the end of the scene, a sun appears over a picture on the wall of the Tridentine Mass, Mother Adele’s Mass. But, she gets up and kisses the picture of the sun. As I told Abbe Courtois years ago, God approaches me as light, a penetrating, gentle light, but that is gone now, as I am back in the darkness of Golgotha, but not for long. How many other souls are there who are called to this bridal love and who may not answer? They do not because they know not love. But, if they would only come to the Eucharist, to Adoration, to Tyburn, these gentle souls would find love, as He is here. I tell my daughters that “The Mass has become like the sun of my life.” This is the Sun of the Eucharistic Heart of Jesus. But, there are many mysteries in the world, and my acceptance of suffering for others is one. I am sure there are many called to this type of existence. How many answer yes? Even the apostles fell asleep in Gethsemane. I cannot fall asleep into mediocrity or complacency. For the sake of my Lord, my God, my All. Scene 9: All the nuns are with Mother Marie Adele as she is dying. They are singing the Salve Regina, and the room is full of the same white light as in the last scene. Mother Adele thoughts again: It is June 17th, my last day on this earth, in this place. I have just told Mother Agnes that I am happy. On this same day, in 1887, 37 years ago, I wrote out my first complete sacrifice to the Divine Will. Nuns sing and the room is filled with light. The Tyburn Altar to the Martyrs is seen and then the Eucharist at Tyburn, and finally, the Eucharist on all the altars of Tyburn around the world, Columbia, Peru, Scotland, Ireland, Rome, Nigeria, New Zealand, Australia, Ecuador…. All the faces of the multicultural order are seen. And, then, the grave of Mother Marie Adele at Tyburn with follows…with a young nun kneeling in front…fade out. Mother Marie Adele’s thoughts continue: There were others before me who understood this mysterious of love-St. Teresa of Avila, whose Spanish passion is so different yet like my own. St. Rita, St. Francis, St. Therese, our newest flower, and more who are being called. Did I succeed in sharing love? Will they continue in this love? Will more come? Mother Marie Adele repeats the opening lines: The day is dark for June. But, the day mirrors the darkness of Calvary, when the storms blew across Golgotha at the death of My Lord. I have left notes and letters, like clues for my dear daughters, hoping they will understand the path I had to follow all these years. My dear daughters have been called to come to me for a blessing. Father, all powerful and ever-living God, we give you glory, praise and thanks for the life and virtue of your beloved daughter, Marie-Adele Garnier. Filled with the riches of your grace, and preferring nothing to the love of the Heart of Jesus Christ, she devoted her whole life to the adoration, praise and glory of your Name: she sacrificed herself by prayer and penance for the unity and holiness of your Church; she loved her neighbor with a charity full of humility and compassion. Above all, she found the Sun of her life in the Holy Mass, and so was consumed with zeal for liturgical worship and Eucharistic Adoration, and abandoned herself with all her heart to your most Holy Will is all things. We ask this through Our Lord, Jesus Christ, Your Son, Who lives and reign with you in the unity of the Holy Spirit, One God, world without end. Amen. Part 93: DoC and Perfection: Athanasius "The Apostle"
I hate to leave the great Athanasius, but I must move on to the last two groups of the Doctors. We owe Athanasius honor above many saints, as he upheld and explained the Truth in an age of confusion. He understood the need for catechesis, which is so lacking in our parishes, (to the point where most Catholics no longer know the Faith). There is no excuse for this problem. If one does not know the Faith, one cannot begin to know Christ. Here is Athanasius again, in Chapter Three. (16) When, then, the minds of men had fallen finally to the level of sensible things, the Word submitted to appear in a body, in order that He, as Man, might center their senses on Himself, and convince them through His human acts that He Himself is not man only but also God, the Word and Wisdom of the true God. This is what Paul wants to tell us when he says: "That ye, being rooted and grounded in love, may be strong to apprehend with all the saints what is the length and breadth and height and depth, and to know the love of God that surpasses knowledge, so that ye may be filled unto all the fullness of God." The Self- revealing of the Word is in every dimension—above, in creation; below, in the Incarnation; in the depth, in Hades; in the breadth, throughout the world. All things have been filled with the knowledge of God. We are surrounded by atheists and skeptics, cynics, and those fallen into grave depravity. We are also surrounded by the knowledge of God, as the entire world has been redeemed by Christ. God is, as Athanasius notes here, "Self-revealing". He wants us to know Him. He is not a hidden God, or a God who has not clarified the type of relationship He desires for us. He wants to be known and He woes us, like a lover, who want to be known and understood by his beloved. Do not turn away from the love. On to another Doctor tomorrow...I hope you are as excited as I am about these writings. I cannot praise Athanasius enough. To write in relatively simple terms the profoundest mysteries of the Trinity is nothing less short of miraculous. Here, he helps us understand the pathway to perfection. From Chapter Nine of On the Incarnation. For that Day we have one of His own sayings to prepare us, "Get ready and watch, for ye know not the hour in which He cometh" And blessed Paul says, "We must all stand before the judgment seat of Christ, that each one may receive according as he practiced in the body, whether good or ill."
(57) But for the searching and right understanding of the Scriptures there is need ofa good life and a pure soul, and for Christian virtue to guide the mind to grasp, so far as human nature can, the truth concerning God the Word. One cannot possibly understand the teaching of the saints unless one has a pure mind and is trying to imitate their life. Anyone who wants to look at sunlight naturally wipes his eye clear first, in order to make, at any rate, some approximation to the purity of that on which he looks; and a person wishing to see a city or country goes to the place in order to do so. Similarly, anyone who wishes to understand the mind of the sacred writers must first cleanse his own life, and approach the saints by copying their deeds. Firstly, the purification state; then, the illuminative state, wherein good deeds flow from purity of heart and mind. After this state, is the unitive state, where the person is one with God at various levels, until after Death, one is united with the Beatific Vision in love and praise. Secondly, the lives of the saints are there to help us both by example and study. Thus united to them in the fellowship of life, he will both understand the things revealed to them by God and, thenceforth escaping the peril that threatens sinners in the judgment, will receive that which is laid up for the saints in the kingdom of heaven. Of that reward it is written: "Eye hath not seen nor ear heard, neither hath entered into the heart of man the things that God has prepared" for them that live a godly life and love the God and Father in Christ Jesus our Lord, through Whom and with Whom be to the Father Himself, with the Son Himself, in the Holy Spirit, honor and might and glory to ages of ages. Amen. This unitive state begins here, if we allow God to purify us and if we die to self. There is no other way to see God, with purification and illumination. Those who get stuck must pray for perseverance and the grace to continue. What a joy it is to read the Doctors of the Church. The clarity of their writings clears the heart, head and mind of the cobwebs of confusion and deceit. Athanasius is a genius. He is probably the most important Doctor of the ancient world. Without him, the Church could have crumbled under the weight of Arianism. It is said that 50% of the bishops were heretics when God raised up this amazing man to refute error and strengthen the Teaching Magisterium of the Church. His dates are 296-373. He was made an Archbishop at thirty years of age. I am in awe of all these men and women. I am in awe of how God raises up intellectual giants at the right time. The Church suffered great persecution at the time of Athanasius. He himself was imprisoned and exiled for a while. Even the great St. Nicholas was imprisoned for a short while. We need to remember this-that within the Church there are factions which want to destroy the Truth of Christ given to us in both Revelation, that is the Scriptures, and Tradition. Here is a section from On the Incarnation by Athanasius. And, obviously, my comments are in blue. This section is connected to my them on perfection, as Athanasius clarifies the Indwelling of the Trinity for us, for all ages. A man's personality actuates and quickens his whole body. If anyone said it was unsuitable for the man's power to be in the toe, he would be thought silly, because, while granting that a man penetrates and actuates the whole of his body, he denied his presence in the part.Similarly, no one who admits the presence of the Word of God in the universe as a whole should think it unsuitable for a single human body to be by Him actuated and enlightened. So, immediately, we see that Athanasius is emphasizing the Presence of God in us as well as the fact of the Incarnation. But is it, perhaps, because humanity is a thing created and brought into being out of non-existence that they regard as unfitting the manifestation of the Savior in our nature? If so, it is high time that they spurned Him from creation too; for it, too, has been brought out of non-being into being by the Word. But if, on the other hand, although creation is a thing that has been made, it is not unsuitable for the Word to be present in it, then neither is it unsuitable for Him to be in man. Man is a part of the creation, as I said before; and the reasoning which applies to one applies to the other. All things derive from the Word their light and movement and life, as the Gentile authors themselves say, "In Him we live and move and have our being." These words are so beautiful and comforting. We live and move and have our being in Christ, if we are in sanctifying grace. Very well then. That being so, it is by no means unbecoming that the Word should dwell in man. So if, as we say, the Word has used that in which He is as the means of His self-manifestation, what is there ridiculous in that? He could not have used it had He not been present in it; but we have already admitted that He is present both in the whole and in the parts. What, then, is there incredible in His manifesting Himself through that in which He is? By His own power He enters completely into each and all, and orders them throughout ungrudgingly; and, had He so willed, He could have revealed Himself and His Father by means of sun or moon or sky or earth or fire or water. Had He done so, no one could rightly have accused Him of acting unbecomingly, for He sustains in one whole all things at once, being present and invisibly revealed not only in the whole, but also in each particular part. This being so, and since, moreover, He has willed to reveal Himself through men, who are part of the whole, there can be nothing ridiculous in His using a human body to manifest the truth and knowledge of the Father. Athanasius' style is easy to follow. His logic is impeccable We see him moving from the Incarnation to the Redemption of Mankind through the Incarnation, Passion and Resurrection. Does not the mind of man pervade his entire being, and yet find expression through one part only, namely the tongue? Does anybody say on that account that Mind has degraded itself? Of course not. Very well, then, no more is it degrading for the Word, Who pervades all things, to have appeared in a human body. For, as I said before, if it were unfitting for Him thus to indwell the part, it would be equally so for Him to exist within the whole. Athanasius tells us that God did not think it degrading to become Man. Amazing. (43) Some may then ask, why did He not manifest Himself by means of other and nobler parts of creation, and use some nobler instrument, such as sun or moon or stars or fire or air, instead of mere man? The answer is this. The Lord did not come to make a display. He came to heal and to teach suffering men. For one who wanted to make a display the thing would have been just to appear and dazzle the beholders. But for Him Who came to heal and to teach the way was not merely to dwell here, but to put Himself at the disposal of those who needed Him, and to be manifested according as they could bear it, not vitiating the value of the Divine appearing by exceeding their capacity to receive it. How beautiful this is to read. Christ did not come to impress upon the world a greatness which would be overwhelming, but a Person Who would love and be loved. He made Himself understandable to us. He is "one of us". Moreover, nothing in creation had erred from the path of God's purpose for it, save only man. Sun, moon, heaven, stars, water, air, none of these had swerved from their order, but, knowing the Word as their Maker and their King, remained as they were made. Men alone having rejected what is good, have invented nothings instead of the truth, and have ascribed the honor due to God and the knowledge concerning Him to demons and men in the form of stones. Obviously the Divine goodness could not overlook so grave a matter as this. All creation, except the bad angels, and men, remained obedient to God. God could not ignore our disobedience. God loves us so much that He pursues us even when we are in sin. But men could not recognize Him as ordering and ruling creation as a whole. So what does He do? He takes to Himself for instrument a part of the whole, namely a human body, and enters into that. Thus He ensured that men should recognize Him in the part who could not do so in the whole, and that those who could not lift their eyes to His unseen power might recognize and behold Him in the likeness of themselves. For, being men, they would naturally learn to know His Father more quickly and directly by means of a body that corresponded to their own and by the Divine works done through it; for by comparing His works with their own they would judge His to be not human but Divine. And why is it that Christ wanted to teach us about God, about the Trinity? Because He wanted us to be like Him, as we were meant to be at the very beginning, before Original Sin. Christ still calls us daily to this perfection-to be like Him. And if, as they say, it were unsuitable for the Word to reveal Himself through bodily acts, it would be equally so for Him to do so through the works of the universe. His being in creation does not mean that He shares its nature; on the contrary, all created things partake of His power. Similarly, though He used the body as His instrument, He shared nothing of its defect, but rather sanctified it by His indwelling. Does not even Plato, of whom the Greeks think so much, say that the Author of the Universe, seeing it storm-tossed and in danger of sinking into the state of dissolution, takes his seat at the helm of the Life-force of the universe, and comes to the rescue and puts everything right? What, then, is there incredible in our saying that, mankind having gone astray, the Word descended upon it and was manifest as man, so that by His intrinsic goodness and His steersmanship He might save it from the storm? How important is this section. We see that the Son of God, the Second Person in the Blessed Trinity through His Goodness and His Leadership saves us, as does a pilot in a ship during a storm. These are comforting words for today. This ship imagery of the Church has come down to us through 2,000 plus years and is apropos today. The Relics of St. Athanasius the Great, in the Church of S. Zaccaria, in Venice, Italy. (44) It may be, however, that, though shamed into agreeing that this objection is void, the Greeks will want to raise another. They will say that, if God wanted to instruct and save mankind, He might have done so, not by His Word's assumption of a body, but, even as He at first created them, by the mere signification of His will. The reasonable reply to that is that the circumstances in the two cases are quite different. In the beginning, nothing as yet existed at all; all that was needed, therefore, in order to bring all things into being, was that His will to do so should be signified. But once man was in existence, and things that were, not things that were not, demanded to be healed, it followed as a matter of course that the Healer and Savior should align Himself with those things that existed already, in order to heal the existing evil. Modern people think that they have discovered "psychology". Here is the great Doctor of the 4th century writing of Healing-the healing of sin. Christ is the Healer, as well as the Savior He heals our rebellion, our sin by entering into our lives. But, we must be open to this, and it is painful. We are all like Eustace in The Voyage of the Dawn Treader (I have not seen the movie). We are like dragons which must have our scales removed by Aslan, who is Christ in the books. This healing is the purgation in the steps of perfection. For that reason, therefore, He was made man, and used the body as His human instrument. If this were not the fitting way, and He willed to use an instrument at all, how otherwise was the Word to come? And whence could He take His instrument, save from among those already in existence and needing His Godhead through One like themselves? It was not things non-existent that needed salvation, for which a bare creative word might have sufficed, but man—man already in existence and already in process of corruption and ruin. It was natural and right, therefore, for the Word to use a human instrument and by that means unfold Himself to all. This is some of the best writing I have ever read on the need for Redemption and the great act of love, which is the suffering of Christ in the Passion and Death on the Cross. You must know, moreover, that the corruption which had set in was not external to the body but established within it. The need, therefore, was that life should cleave to it in corruption's place, so that, just as death was brought into being in the body, life also might be engendered in it. If death had been exterior to the body, life might fittingly have been the same. But if death was within the body, woven into its very substance and dominating it as though completely one with it, the need was for Life to be woven into it instead, so that the body by thus enduing itself with life might cast corruption off. Suppose the Word had come outside the body instead of in it, He would, of course, have defeated death, because death is powerless against the Life. But the corruption inherent in the body would have remained in it none the less. This is connected to my posting yesterday. Original Sin made us intrinsically corrupt, but the Redeeming Act of Christ changed us. Naturally, therefore, the Savior assumed a body for Himself, in order that the body, being interwoven as it were with life, should no longer remain a mortal thing, in thrall to death, but as endued with immortality and risen from death, should thenceforth remain immortal. For once having put on corruption, it could not rise, unless it put on life instead; and besides this, death of its very nature could not appear otherwise than in a body. Therefore He put on a body, so that in the body He might find death and blot it out. And, indeed, how could the Lord have been proved to be the Life at all, had He not endued with life that which was subject to death? Take an illustration. Stubble is a substance naturally destructible by fire; and it still remains stubble, fearing the menace of fire which has the natural property of consuming it, even if fire is kept away from it, so that it is not actually burnt. But suppose that, instead of merely keeping the fire from it somebody soaks the stubble with a quantity of asbestos, the substance which is said to be the antidote to fire. Then the stubble no longer fears the fire, because it has put on that which fire cannot touch, and therefore it is safe. It is just the same with regard to the body and death. Had death been kept from it by a mere command, it would still have remained mortal and corruptible, according to its nature. To prevent this, it put on the incorporeal Word of God, and therefore fears neither death nor corruption any more, for it is clad with Life as with a garment and in it corruption is clean done away. The simplicity of this writing proves the genius of Athanasius. Life is renewed in Christ's Own Body. Not by a word from God, but in and with and through the Incarnation. (45) The Word of God thus acted consistently in assuming a body and using a human instrument to vitalize the body. He was consistent in working through man to reveal Himself everywhere, as well as through the other parts of His creation, so that nothing was left void of His Divinity and knowledge. For I take up now the point I made before, namely that the Savior did this in order that He might fill all things everywhere with the knowledge of Himself, just as they are already filled with His presence, even as the Divine Scripture says, "The whole universe was filled with the knowledge of the Lord." If a man looks up to heaven he sees there His ordering; but if he cannot look so high as heaven, but only so far as men, through His works he sees His power, incomparable with human might, and learns from them that He alone among men is God the Word. Or, if a man has gone astray among demons and is in fear of them, he may see this Man drive them out and judge therefrom that He is indeed their Master. Christ is all things...all things lead to Christ. God filled the universe with the knowledge of Himself and we have access to this knowledge through grace. If we seek Him, we shall find Him. Again, if a man has been immersed in the element of water and thinks that it is God—as indeed the Egyptians do worship water—he may see its very nature changed by Him and learn that the Lord is Creator of all. And if a man has gone down even to Hades, and stands awestruck before the heroes who have descended thither, regarding them as gods, still he may see the fact of Christ's resurrection and His victory over death, and reason from it that, of all these, He alone is very Lord and God. There is a hell and Christ descended into it, as our Creed states. So, too, we must enter into our own private "hells", our own areas of darkness into order to come into the light. For the Lord touched all parts of creation, and freed and undeceived them all from every deceit. As St. Paul says, "Having put off from Himself the principalities and the powers, He triumphed on the cross," so that no one could possibly be any longer deceived, but everywhere might find the very Word of God. For thus man, enclosed on every side by the works of creation and everywhere—in heaven, in Hades, in men and on the earth, beholding the unfolded Godhead of the Word, is no longer deceived concerning God, but worships Christ alone, and through Him rightly knows the Father. There is only one way to heaven and that is through Christ. There is only one way to perfection and that is through Christ. When one is in the Dark Night of the Spirit, prayers do not seem to be answered. However, what is happening is the final death of self-will and the total reliance on God. Some who have gone before me endured such suffering. Almost one-hundred years ago, in 1919, a beautiful woman died of breast cancer. She was born in 1876, and, therefore, was only 42, dying before her 43rd birthday. A gentle woman of great intelligence, she was graced with many gifts. Among these were loveliness in face, eyes, hair and figure. She wrote and published, ran a household which included her six children and organized a life for a husband who had an international career. Anna Dostalovou, nee Brzoradovou loved her country to the point of grief that she could not return. Her love of God sustained her through pain and suffering, as there were no operations to take away the disease. In her dying days, she could not bear to see her baby as her heart was breaking. Her last words were, "Is there any news from home?" This noble woman had not heard from her family regularly because of the Great War. She waited in the twilight hours of her life for a letter or a postcard from her brother, as her parents had passed away. Eduard's card came just a day after she died. But, the secrets of her family died with her. "The Little Jewess", as her fond husband called her, descended from a wealthy family in Bratislava, and her father or father's father had converted to Catholicism. Anna left her home at eighteen to go to the New World, after her mother and father died, and after her brother had given her permission to marry her beloved, who was already in northern Iowa. Imagine a young woman of eighteen travelling by herself in 1894. The secrets of her family died with her as she never spoke of her beloved family but waited to hear from them in the Old Country. 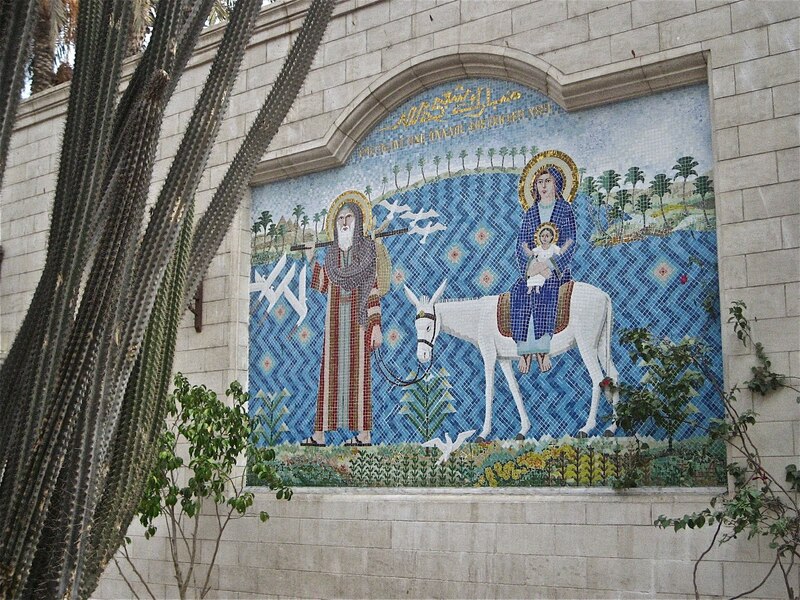 And, her family went back to another country, far away, in dust and desert, where her God walked with His apostles. Her mourning may have been increased by the distance of her past, her new nation, created in part, by her own husband. But, to that country of dark forests, beautiful rivers and hills, gentile manners and culture, she never returned. Her people are still my people. Her genes form some of my genes. Her love of the Church and her place of birth is my love of Europe and the old ways. Anna is to me like the great Esther of the Bible, a regal figure of love and kindness, faith and courage, to be cherished forever in memory. Her Catholicism brought life into my family and her death brought a longing for completeness. And the Midrash states this: Just as a myrtle has a sweet smell and a bitter taste, so too Esther was good and listened (“sweet”) to the righteous Mordechai, and was adverse (“bitter”) to the wicked Haman. The name Esther has another meaning. A famous Rabbi wrote: Hadassah was the name of Queen Esther, who was not afraid to live among non-Jews and to show an example of how a Jew must be proud of his or her inheritance, and to live everyday life in the same direction, with happiness and much success. My great-grandmother's life was a hidden grace. I pray for her grief at not returning to Europe to be healed in me and that the long memory of her people be at peace in her. I pray that I may be worthy of her gifts and virtues. Holiness in suffering may be hidden and may come in many forms. But, the Kingdom of God witnesses to many lives which suffered at a great cost for the building of this kingdom. God bless Anna, and may her descendants honor her name, like her people honored a known lady of courage, St Esther.